The radiance of gold, a noble material that has served our craftsmen well for three centuries. The strength of the flame, the secret to producing ultra-fine powders to make our unique dials of Grand Feu enamel. 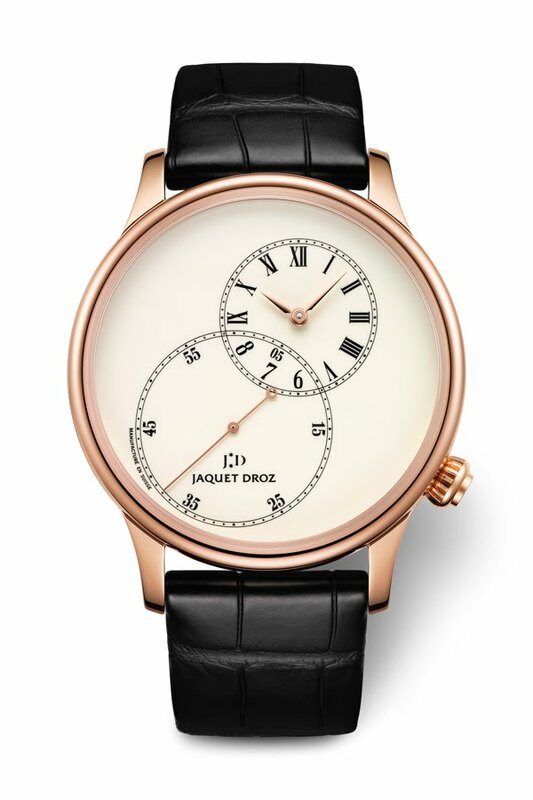 A wealth of meticulous skills and techniques perpetuated and reinvented by Jaquet Droz, model after model. The hand of the craftsman, the most precious tool available to the Manufacture, familiar with each gesture and the value of time. All of the master artisans who, in the seclusion of their workshops in La Chaux-de-Fonds, Switzerland, created the horological masterpiece that Jaquet Droz is proudly presenting today. 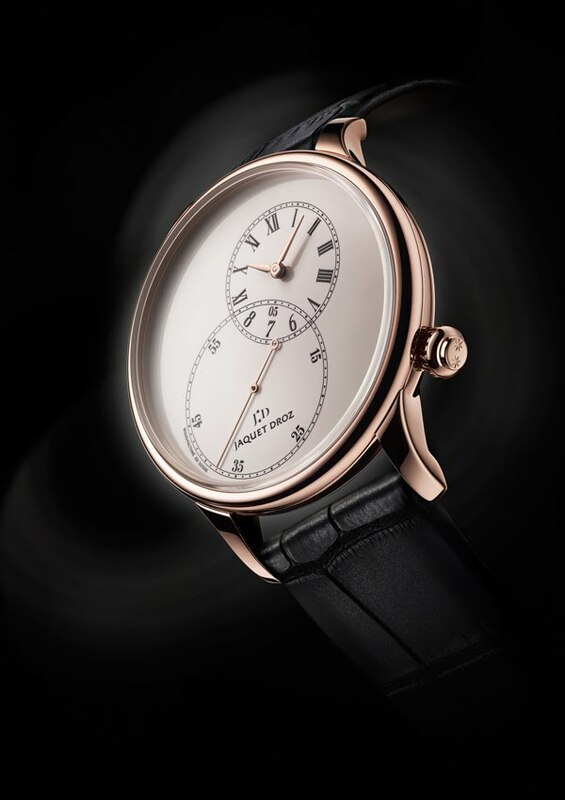 With the Grande Seconde Off-Centered Ivory Enamel, Jaquet Droz combines classic watchmaking tradition with the imagination that has become a house trademark. A milestone in the history of the Manufacture, the Grande Seconde features two dials that, intertwined, form the number eight, a house leitmotif. One dial indicates the hours and minutes, the other tracks the passing of the sixty seconds in a minute. The size of the seconds hand and the incredible fineness of its profile evoke the myriad opportunities lying dormant in each passing minute. They are saluted by the elegance and graphic interest of this timepiece, whose dials and winding stem have been repositioned to give this watch a new look. The decorative motif, an artistic interpretation of mechanical gears, sets off the ivory hue of the Grand Feu enamel and the radiance of the red gold case. Finally, the winding stem at four o'clock has always intrigued aficionados.